Tools required: Electric drill, adjustable wrench, philips and hex screw drivers, tape measure, ladder and level. Installation anchors are not included. This Beauty Mark Santa Fe Window Awning features clean and modern straight lines with open sides. This adds a modern twist to a traditional element. 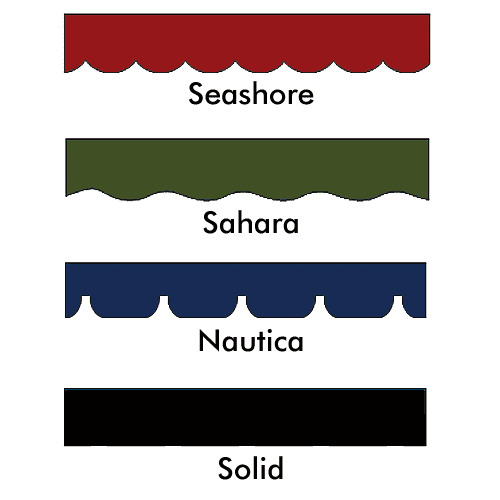 The awning material is not only durable and built to last, it is available in a wide variety of colors and stripes. Created using material that is UV, water, mildew and fade resistant. Built on a solid aluminum frame, constructed to withstand heavy objects and strong winds. Awntech offers a limited 5-year warranty with each awning they produce. This American made valance is created to meet and exceed all of your home and business needs. 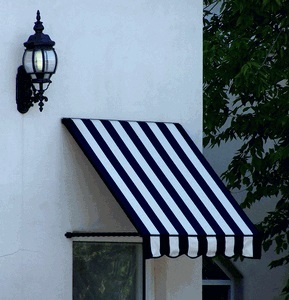 * Please Note: All single color awnings come with white trim. Multi-color awnings come with trim of lightest color combination. 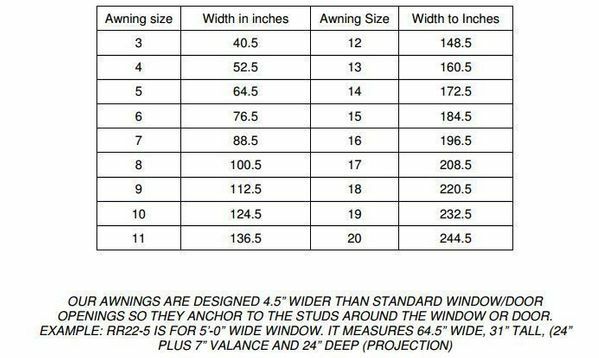 * Also Note: The size chart indicates the additional spacing needed for installation.